ARLINGTON, Va. -- SCYTHE Inc., provider of the most advanced attack simulation platform on the market, has announced that the company has raised $3 million in an initial funding round led by cybersecurity industry veteran and co-founder of Tenable, Ron Gula of Gula Tech Adventures. 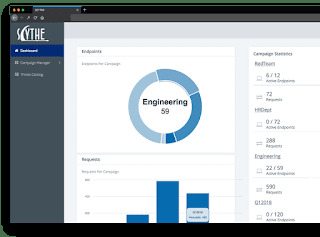 The company’s flagship product SCYTHE is an attack simulation technology platform that allows organizations to build and emulate every possible combination of real-world adversarial campaigns, testing an organization’s vulnerabilities head on to measure the effectiveness of an enterprise’s security controls with granularity. To request a demo visit https://www.scythe.io/contactor to learn more about the SCYTHE platform visit https://www.scythe.io. SCYTHE is a provider of the most advanced attack simulation platform on the market. The SCYTHE platform allows enterprise red and blue teams to build and emulate every possible combination of real-world adversarial campaigns in a matter of minutes to validate the risk posture and exposure of businesses and their employees, as well as the performance of security teams and the solutions they use.Based in Arlington, VA, the company is privately held and is funded by Gula Tech Adventures, Evolution Equity, Paladin Capital and private industry investors.For more information email info@scythe.io, visit https://scythe.io, or follow on Twitter @scythe_io.